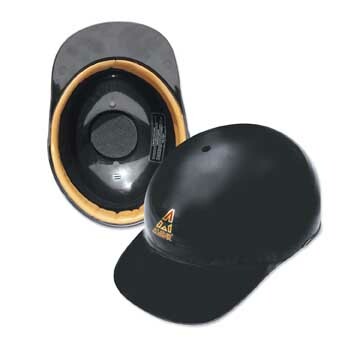 Short Brim Hard Shell Umpire's Cap. Bill Length equals that of a 5 stitch cap. 7 fitted hat sizes. Genuine cowhide wrapped headband.